We all have a limited amount of time and in my case a limited ability to focus. 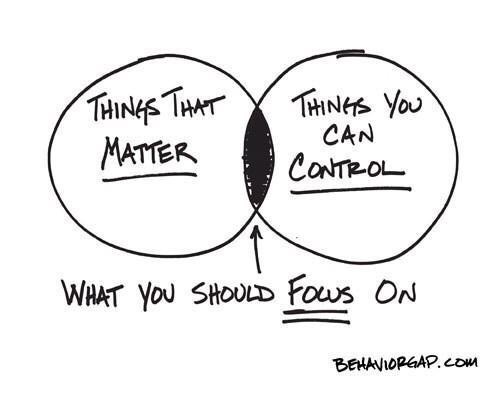 It’s easy to get derailed and focus on things that really don’t matter. Here’s a story to illustrate the point. “No”, the speaker replied, “That’s not the point. The truth this illustration teaches us is this: If you don’t put the big rocks in first, you’ll never get them in at all. What are the big rocks in your life? Your children. Your spouse. Your loved ones. Your friendships. Your education. Your dreams. A worthy cause. Teaching or mentoring others. Doing things that you love. Time for yourself. Your health. Remember to put these BIG ROCKS in first, or you’ll never get them in at all. “If you sweat the little stuff (i.e. gravel, the sand) then you’ll fill your life with little things you will never have the real quality time you need to spend on the big, important stuff (the big rocks). So, tonight, or in the morning, when you are reflecting on this short story, ask yourself this question: What are the “big rocks” in my life? Then put those in your jar first.